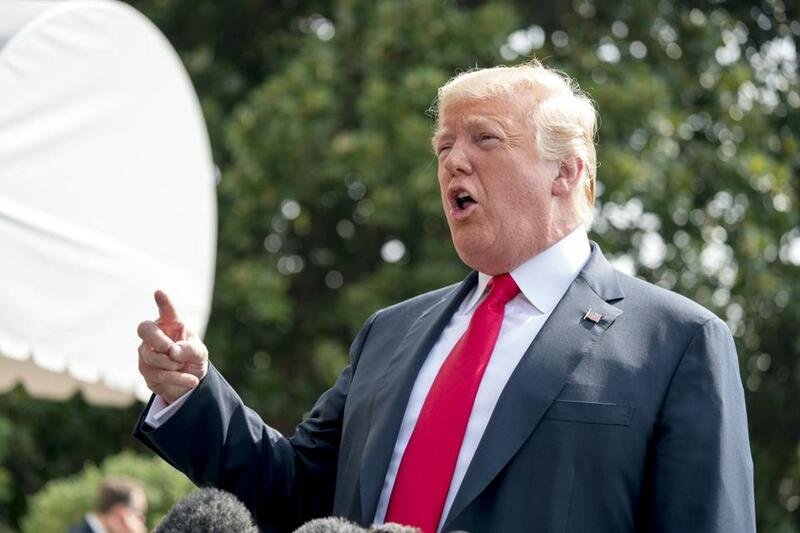 WASHINGTON (AP) — President Donald Trump said Friday that he suspects he’ll ‘‘very quickly’’ revoke the security clearance for a Justice Department official whose wife worked for the firm involved in producing a dossier on Trump’s ties to Russia. Signaling that his efforts to target clearances over his frustration with the Russia investigation were not over, Trump tweeted that it was a ‘‘disgrace’’ for Bruce Ohr to be in the Justice Department. His comments came two days after he yanked the security clearance of former CIA Director John Brennan, saying he had to do ‘‘something’’ about the ‘‘rigged’’ federal probe of Russian election interference. Critics have cast it as an act of political vengeance. Ohr has come under Republican scrutiny for his contacts to Glenn Simpson, co-founder of Fusion GPS. The opposition research firm hired former British spy Christopher Steele during the 2016 presidential campaign to compile the dossier on Trump and his Russia ties. Ohr’s wife, Nellie, worked for Fusion GPS during the campaign — something Trump has tweeted about to highlight his assertions of political bias behind the Russia investigation. Some have been publicly critical of the president, while others are linked to special counsel Robert Mueller’s investigation into Russian election interference. Former U.S. security officials on Thursday issued scathing rebukes to Trump for moving against Brennan. Trump’s admission that he acted out of frustration with the Russia probe underscored his willingness to use his executive power to fight back against an investigation he sees as a threat to his presidency. Legal experts said the dispute may add to the evidence being reviewed by special counsel Robert Mueller. The only question remaining is whether the collusion amounts to a ‘‘constituted criminally liable conspiracy,’’ Brennan wrote. Later Thursday, the retired Navy admiral who oversaw the raid that killed Osama bin Laden called Trump’s moves ‘‘McCarthy-era tactics.’’ Writing in The Washington Post, William H. McRaven said he would ‘‘consider it an honor’’ if Trump would revoke his clearance, as well. ‘‘Through your actions, you have embarrassed us in the eyes of our children, humiliated us on the world stage and, worst of all, divided us as a nation,’’ McRaven wrote. The signees included seven former CIA directors, five former CIA deputy directors and former Director of National Intelligence James Clapper. Two of the signees — Clapper and former CIA Director Michael Hayden — have appeared on a White House list of people who may also have their security clearances revoked. ‘‘So I think it’s something that had to be done,’’ he said. The president’s comments were a swift departure from the official explanation given by the White House earlier Wednesday that cited the ‘‘the risks’’ posed by Brennan’s supposed ‘‘erratic conduct and behavior.’’ It marked the latest example of the president contradicting a story his aides had put forward to explain his motivations. Patrick Cotter, a former assistant U.S. attorney in the Eastern District of New York and a longtime white-collar defense attorney, said that while a prosecutor could argue that Trump’s targeting of clearances was intended as a warning that ‘‘if you contribute to, participate in, support the Russia probe and I find out about it, I’m going to punish you,’’ it is likely not obstruction in itself. But, he said the move would be a ‘‘powerful piece of evidence’’ for prosecutors as part of a pattern to demonstrate an intent to use presidential power in connection with the probe. ‘‘What it shows is that the president is fixated on the Russia investigation, he’s angry about it, and he wants to do everything he can to discourage or slow down the investigation,’’ he said. Mueller and his team have been looking at Trump’s public statements and tweets as they investigate whether the president could be guilty of obstruction. 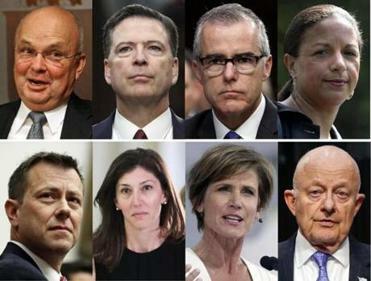 Former CIA directors and other top national security officials are typically allowed to keep their clearances, at least for some period.